Hi! My name is Christopher and I would like to invite you to explore the beautiful city of Krakow with me. 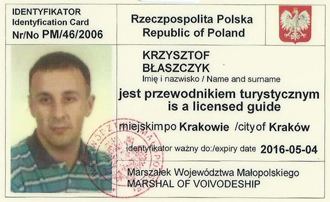 I am an English speaking licensed Krakow tour guide as well as tour leader for Poland. 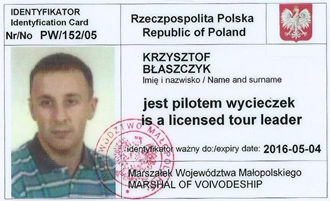 From year 2014 I can serve you as a licensed taxi driver for airport transfers and around Poland. My passion has always been history. During my tours, you will hear lots of interesting stories that are not in the guidebooks! 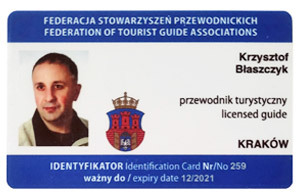 As a graduate of Krakow University of Economics (Tourism and Hotel Industry), 20 years experience as a hotel concierge and 14 years as a tour guide, I know how service should be done! Let me help you select hotels and restaurants in the area that are suited to both your needs and pocketbook! I am very flexible and would be happy to design a customized tour that will please the individual or larger group! Hoping to meet you in Krakow for an adventure you won't forget!